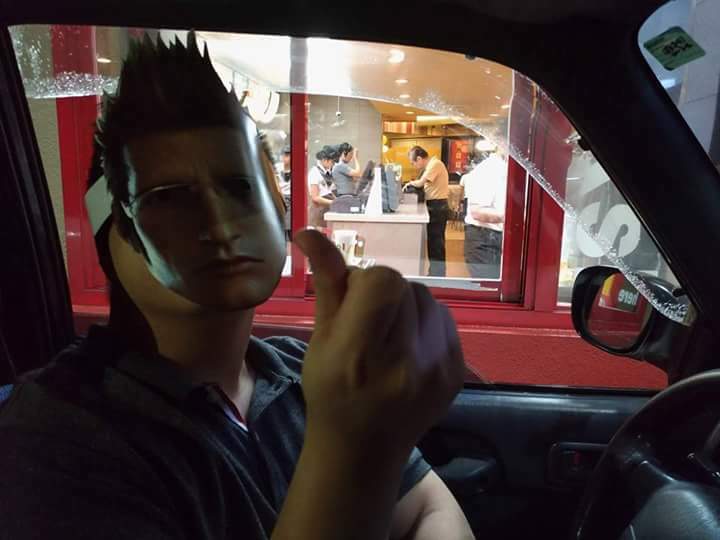 You know Final Fantasy XV has become a hit when it enters daily life, such is the case of Mr. Brian Papa who shared two photos of his lil skit involving a McDonalds and a cut out Ignis mask. Here’s the screenshot of the original post. 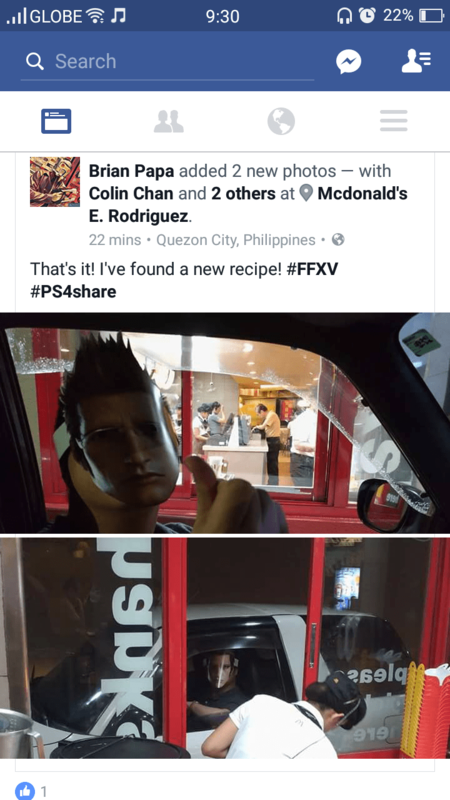 Not only did our hero Ignis get fries and a quarter pounder, he also unlocked a new recipe, which surprisingly has become a big minigame among Final Fantasy XV players locally and abroad. 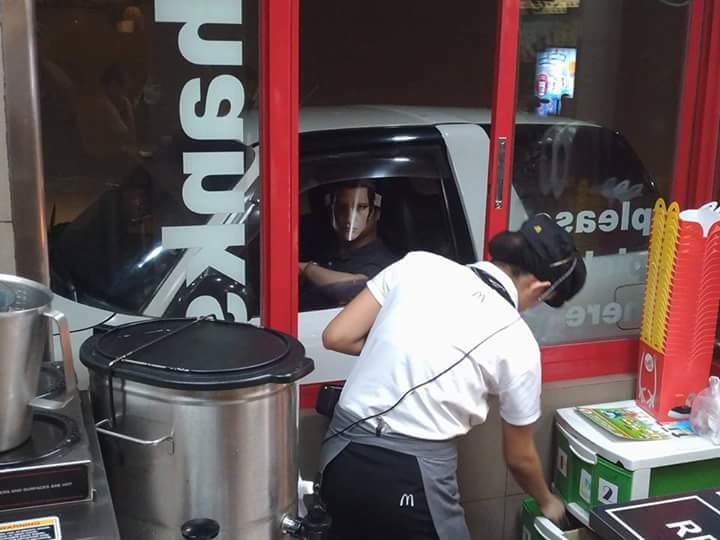 Huge credits to the original poster for this, Brian Papa.